Tyler James answers ComixLaunch listeners’ crowdfunding questions! This episode covers protecting your books from piracy, getting the best price on printing, and how big an audience you need to launch a successful Kickstarter project. This session is sponsored by KrakenPrint. Need a reliable printer for your next comic book or graphic novel print run? Then you need to unleash the Kraken. Head toComixLaunch.com/Kraken for 5% off your entire first order. In this episode, we answer Kickstarter questions from creators! “I was interested in your opinion on releasing digital versions of comics/graphic novels as rewards on KS. Everything I’ve read indicates that – although it seems counter-intuitive at first – letting your stuff out there, DRM free, is on balance a positive thing for creators. In fact, it seems like if you want to run a viable KS campaign, you really have no choice these days but to offer a digital download. Eric Stephenson of Image and Neil Gaiman seem positively evangelical about this. I completely understand the rationale behind this. But do you have any reservations about it – or do you know of any independent creators who feel that releasing easily pirated digital versions of comics (or in particular single graphic novels) wasn’t the best move? It’s a good question… and definitely one that draws strong opinions. This is also nice follow up to the recent ComixLaunch Session entirely on Digital Rewards. 9 of the 10 most successful comic book Kickstarters, including this one that has absolutely EXPLODED this week, were webcomics first, and largely available to read in their entirety for free. I would be far, far, far more concerned about your work getting ignored. A lot of creators out there who waste a lot of time worrying about preventing other people from making money off of their work… before they’ve even figured out how to make money off it! 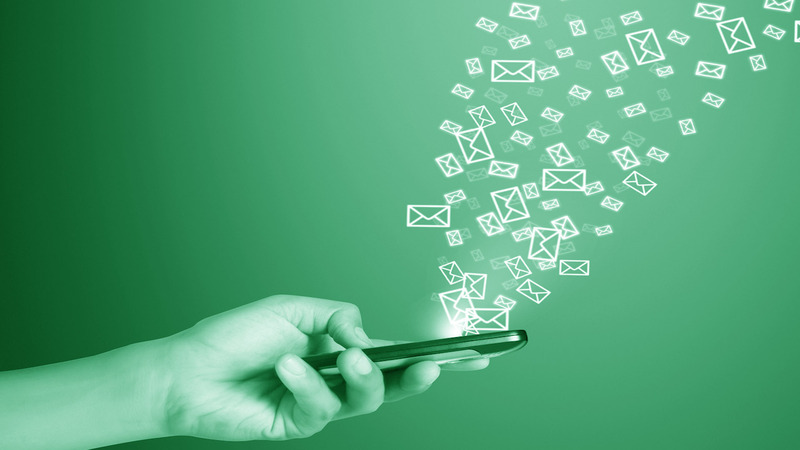 DRM is an illusion… focus on getting readers. “Can you point me in the direction of printers for a Kickstarter that we’re finishing up, I’d like to share it with my partners. They have someone in mind, but I’d be interested in seeing if we could get more bang for our buck. Who have you used, and what was your preference for price and quality? Shawn, ALWAYS price multiple printers… and don’t be afraid to share your print quotes with the printers from other printers, as they’ll often try to beat them. KrakenPrint is a sponsor of ComixLaunch and if you mention ComixLaunch, they’ll knock 5% off your first order. Go to ComixLaunch.com/kraken and shoot them an inquiry. But definitely get multiple quotes! 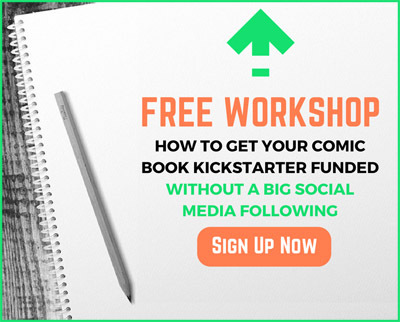 Should you hold off launching a KS until you have a (measurable) audience for your comic? The Avg KS pledge is around $25. That means for a $100 goal, you need 4 backers. Do you have a measurable audience where you’re confident 4 people will back? $1000 goal, need 40 backers. So, yes, your audience should be measurable (ballpark), and your goal should reflect your audience… but that doesn’t mean you need a huge audience. Yes, Kickstarter is a way to build a platform. Some will tell you it’s not… but here’s the truth… I could pull up the list of 3500+ backers, and most of them are people I couldn’t pick out of a line up and have never met in person. KS is a profit maximizer. If you start a fire, it makes smoke… likewise, a successful KS will attract fans. And the single most valuable thing that KS does for you, something that so many other platforms — the Direct market/Diamond, Amazon, Comixology, Bookstores — is that it gives you direct access and the ability to contact after the fact every single person who pledges to your KS. They are YOUR backers… not Kickstarters. And that is HUGE. Shoot me an email to [email protected] subject ComixLauncher 15 and ask me something. You’ve gotta have something you’re wondering… and chances are someone else is wondering it to. 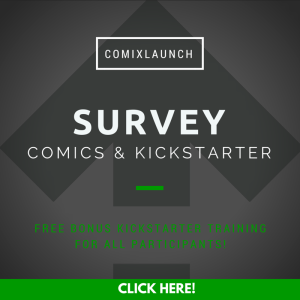 LAST CALL for the COMIXLAUNCH SURVEY! We’re in the final week of the ComixLaunch survey, so if you haven’t already, please head over to comixlaunch.com/survey in order to take our first ever listeners survey. This survey will help shape the direction of this show and the resources we create over the coming months and into 2016. We’re committed to making ComixLaunch the single best resource for comic book creators interested in using Kickstarter the right way to fund their projects, and advance their careers… but we can only do that with your input. Please head to comixlaunch.com/survey and fill out the short survey, I promise it will only take a few moments and yet have a huge impact in what we’re able to do for you. Everyone of you who completes the ComixLaunch survey will be given instant access to a private bonus ComixLaunch training! I promise you… it will be well worth your time, and comixlaunch.com/survey is where it’s at.